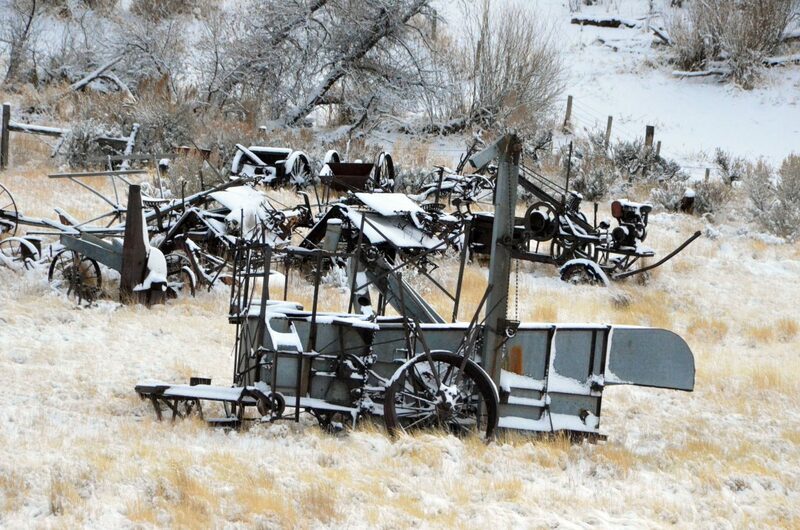 Antique farm equipment along US Highway 40 has a new layer of frost Saturday afternoon. 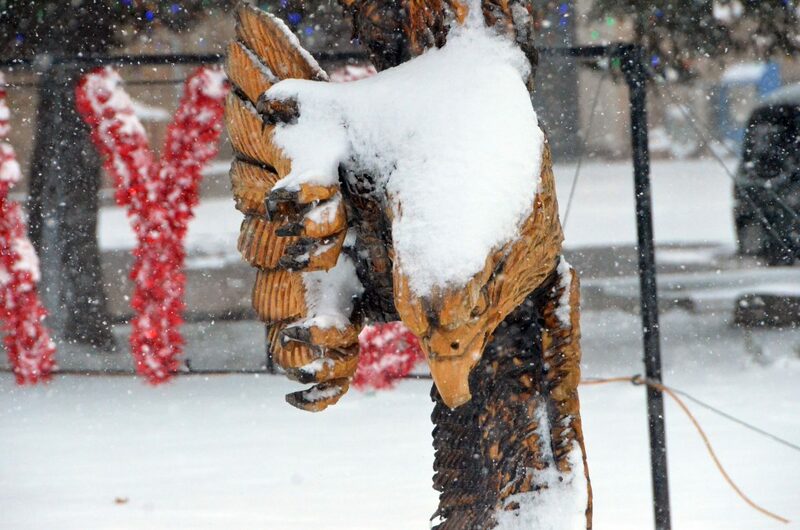 The wooden eagle sculpture outside Craig City Hall is grounded due to heavy snow Saturday afternoon. 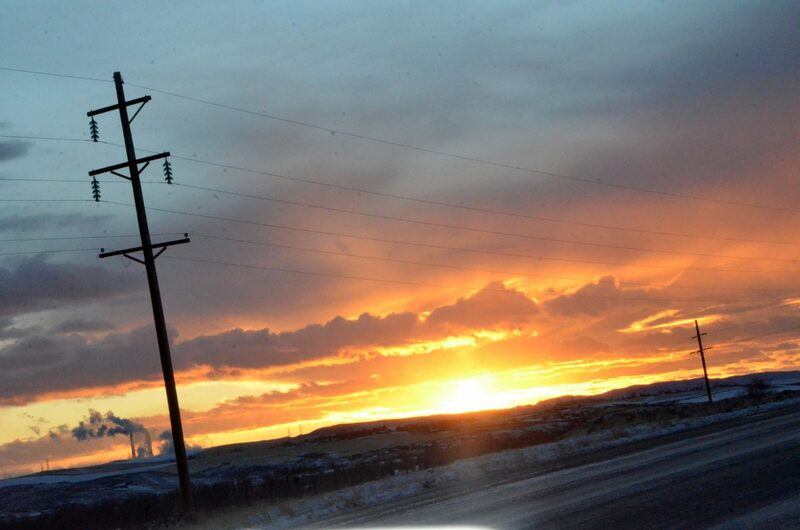 The sun sets on a snowy Moffat County Saturday afternoon. 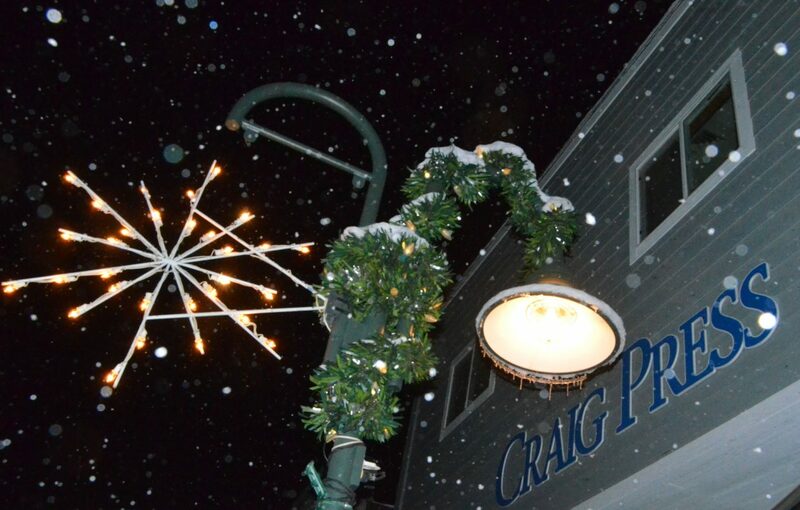 A snowflake and garland outside the Craig Press office Saturday evening. 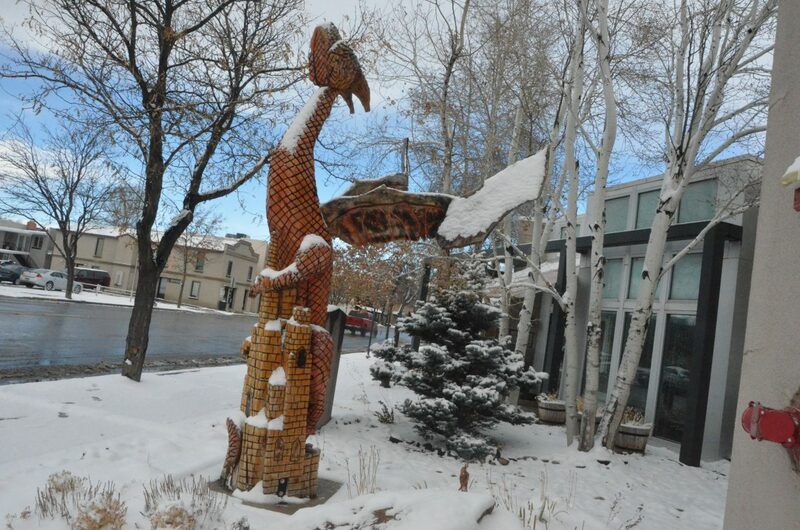 The wooden dragon sculpture outside Craig Fire/Rescue stays cool. 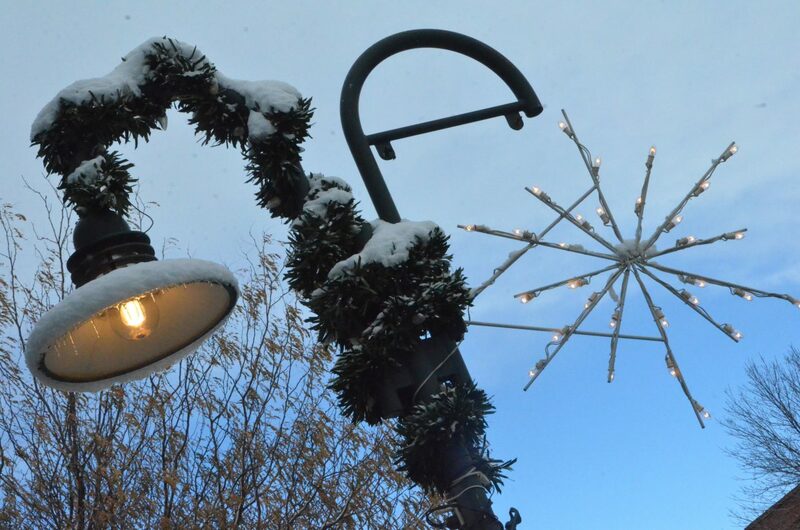 A snowflake and garland outside the Craig Press office Saturday afternoon. 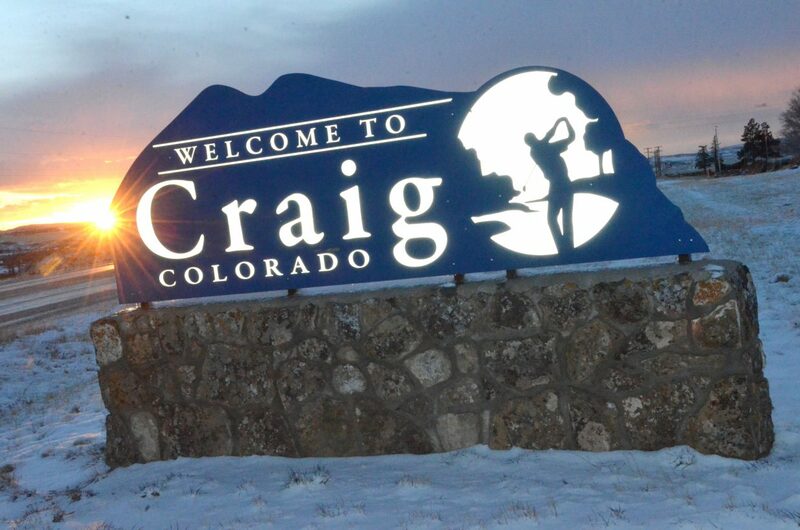 The sunset peeks around the eastern "Welcome to Craig" sign along US Highway 40 on a snowy Moffat County Saturday afternoon. 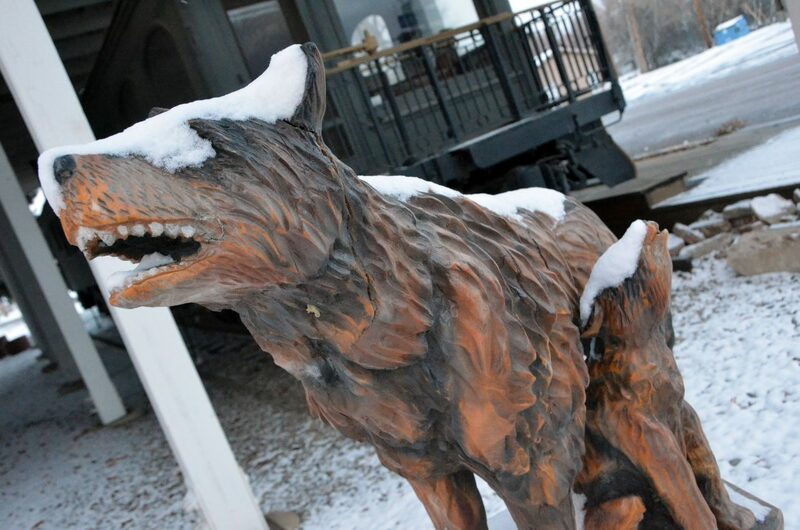 The wooden howling wolf and cub beside the Marcia Car are coated with fresh snow Saturday afternoon. 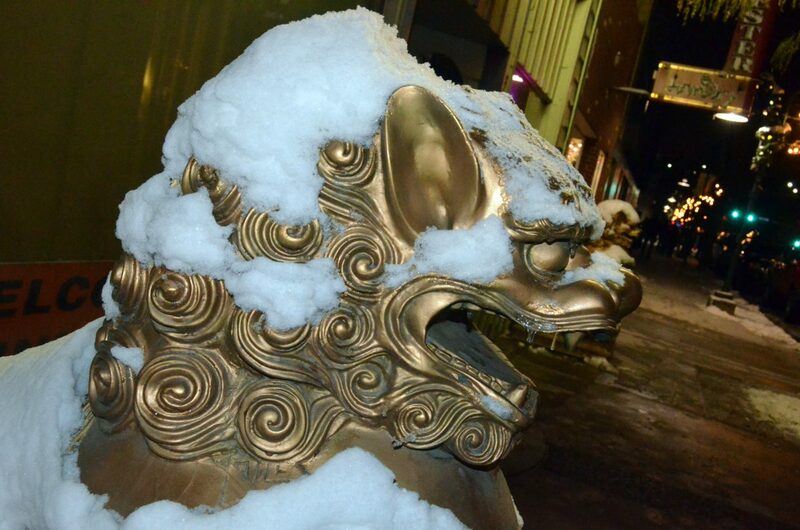 The golden lions outside Spicy Basil are coated with snow Saturday evening. 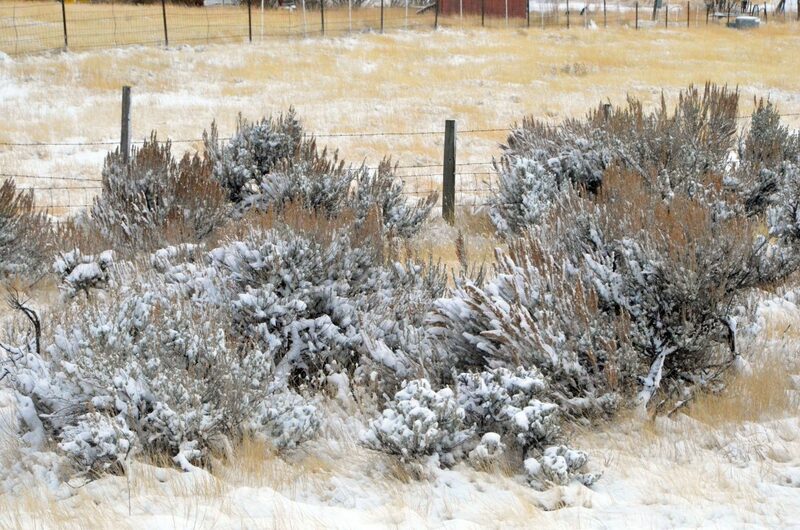 Roadside brush along US Highway 40 has a healthy dusting of snow Saturday afternoon. 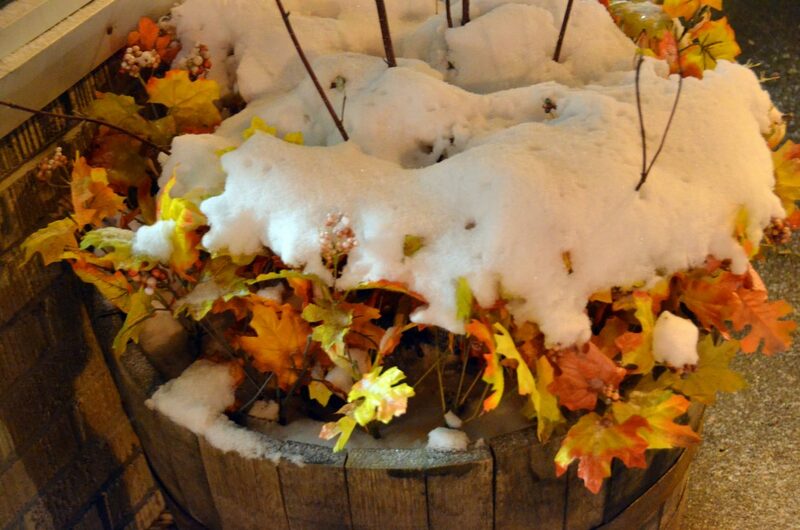 The autumn decor outside The Rusted Shear Salon receives a healthy dose of snow along with the rest of Craig Saturday. 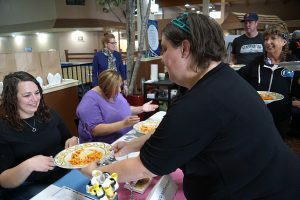 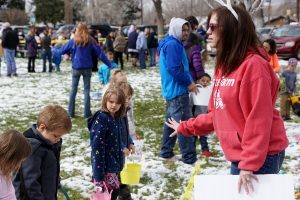 Craig and Moffat County received ample snow late Friday and throughout Saturday as frozen precipitation dumped on Northwest Colorado along with the rest of the state. 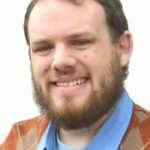 The white powder provided a newfound framing for many sights within and outside city limits that are familiar to residents.